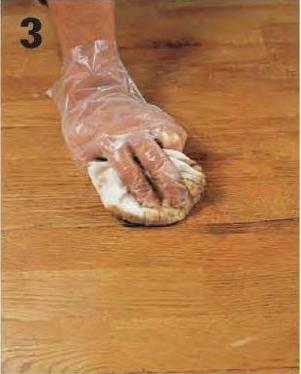 Remove the top hardwood floor finish of the stained area by sand paper. Take a cup and dissolve the appropriate amount of oxalic acid crystals in it and apply it over the stained area, make sure to wear rubber gloves before applying the solution. Care should be taken that the solution is to be applied over the darkened stained area only. Allow the solution to stand for one hour. 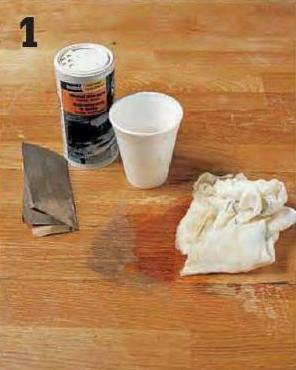 Now wast the applied solution with 2 table spoons of borax mixed with water. this solution is applied to neutralize the acidic solution applied over it. Now rinse the surface of the floor with water. Allow the wood to completely dry. Now smoothly sand the surface again. 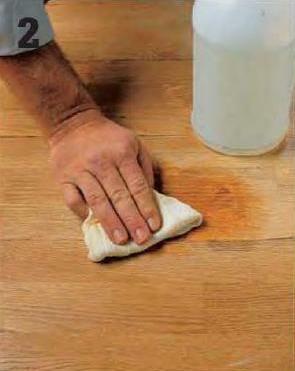 Apply several coats of wood restorer over the bleached surface until the original color of the wood is obtained.